The leading independent specialist for windscreen replacement and windscreen repair based in Aylesbury and serving all of the Aylesbury area. National Windscreens Aylesbury fitting centre provides windscreen replacement and windscreen repair services to businesses and individuals throughout Aylesbury and the Aylesbury area. Aylesbury is served by the A41 and is only 15 miles from the M40 and 21 miles from the M25. This provides excelent access to London and the Midlands. The town also sits on the A413 and A418 to provide easy access to surrounding Buckinghamshire. The River Thames and Chiltens Hills are major features in countryside of outstanding national beauty in Buckinghamshire. 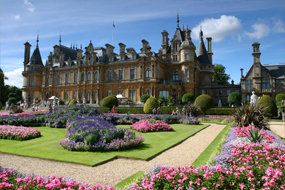 The stunning historic houses and glorious gardens welcome many visitors to the county. The Aylesbury windscreen fitting centre and its mobile vehicle glass technicians service the needs of Aylesbury and the surrounding area including Princes Risborough, Thame, Great Missenden and Waddesdon. With 108 fitting centres and over 800 mobile technicians, National Windscreens operates the UK's largest windscreen repair and windscreen replacement network. The company provides low cost, high quality windscreen replacement and windscreen repair from its Aylesbury fitting centre 24 hours a day, 7 days a week, 365 days a year. Repair and replacement of all types of vehicle glass including windscreens, rear windows and side windows is undertaken throughout Aylesbury and all of the Aylesbury area.